Aikido on Ventura provides a welcoming and accepting atmosphere for those who are looking for the challenge of learning a martial art and self defense techniques, but who may have been put-off by the aggressive and competitive styles of today's martial art schools. At Aikido on Ventura, people can explore the limits of their endurance while keeping complete control over their training. Our students progress at their own speed under a well proven training structure. Aikido is the official martial art of the Tokyo riot police and compulsory training for Tokyo policewomen, making it a particularly efficient system for self-defense. Aikido is known for its clear, precise movements resulting in effective and powerful techniques that do not rely on strength to execute. Aikido is also known for its well proven, step-by-step teaching method that is effective in helping students of all ages in learning self defense and martial art techniques. The key element of our teaching system is the use of six basic movements (kihon dosa). They embody the essence of moving forward, turning and pivoting while maintaining a strong “centerline” to the body. Through the study of the basic techniques we learn to move in a relaxed way, with focus and balance. These movements are the “building blocks” for all defensive techniques you will learn. 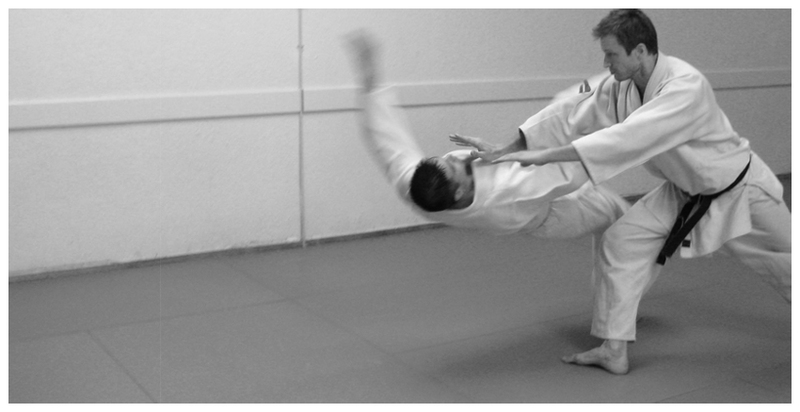 There are numerous defensive techniques (kihon waza) to defend against a variety of attacks. 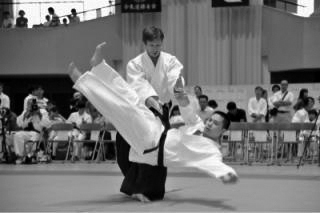 These defensive techniques end by throwing, pinning or locking the opponent and they serve as the basis for advanced training in “freestyle” Aikido. With this teaching method and our emphasis on safety and body mechanics, you can learn powerful self defense and martial art techniques while developing harmony within yourself. Q. What does Aikido look like? A. It is a very graceful art using circular motion, timing and focused power to throw, lock or pin an opponent. Q. How much strength do I need? A. The aim is to unbalance an opponent and guide him using his own force and momentum, therefore, strength is more of a handicap than an edge. Q. How often are competitions held? A. There are no competitions in traditional Aikido. Students have to do their very best every day without any thought for “winning” or “losing” in a competitive way. The aim being to conquer one’s self and defeat our ego. Q. Is Aikido practical for self-defense? A. Aikido has been selected for its non-aggressive, yet terribly effective techniques, by the Tokyo riot police and is compulsory for policewomen in Japan. It is an excellent self-defense tool. Q. I’m 50 years old – can I do Aikido? A. Aikido can be practiced and enjoyed by anyone in good health regardless of age or gender. Q. How long does it take to get good in Aikido? A. Aikido is a lifetime activity. However, after a year or so of regular training you will start to feel confident and have a good understanding of the basics. Q. How can I try Aikido? A. You are welcomed to watch as many classes as you would like and then join us for a free class when ready. Just wear comfortable training gear and enjoy the experience. David Fryberger, 6th dan (6th degree black belt) is the resident teacher of Aikido on Ventura. David has been studying martial arts since he was 6 years old. He has lived in Japan and trained at the Yoshinkan Honbu dojo where he earned his instructor credentials and graduated from the 3rd joint Senshusei/Tokyo Riot Police Course. To ensure the integrity of his credentials, David has returned to Japan to complete all degree (belt) tests at the Yoshinkan Honbu Dojo in Japan. He is founder of the New York Yoshinkan and has taught seminars from Belfast to Kampala. David is fluent in English and Spanish and resides in Hollywood. David teaches with the belief that we are all students in life and as a result, we are all partners in training.